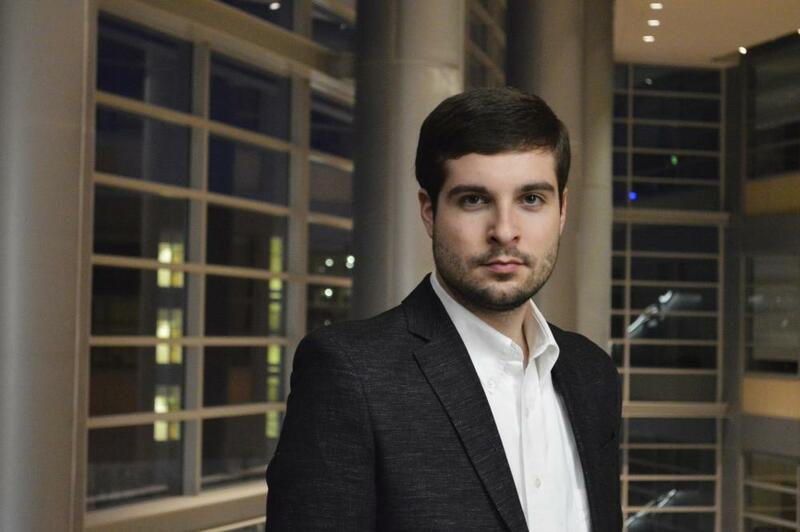 Congratulations to junior voice performance major Joseph Helinski, who won first place in the Junior Men Category at the recent National Association of Teachers of Singing (NATS) Eastern Region Student Auditions. This annual voice competition, held on the campus of Montclair State University (NJ), is open to singers from New Jersey, Delaware, New York, Pennsylvania, West Virginia, and Quebec. Joseph's competition repertoire was "When the Air Sings of Summer" (from The Old Maid and the Thief) by Gian-Carlo Menotti, "Libera me" (from the Gabriel Fauré Requiem), "Von ewiger Liebe" by Johannes Brahms, and "Old Mother Hubbard" by Victor Hely-Hutchinson. From Canonsburg, PA, Joseph is the son of David and Maureen Helinski. A bass-baritone, he studies with voice professor Richard Kennedy. He is a member of the Concert Choir, a 2015-16 Classical Music Student Ambassador Leader, and sang the title role in Penn State Opera Theatre's production of The Barber of Seville in March, 2016.